ROBERT AND REBECCA is a model ca. 1890 barquentine that sails under her own power. 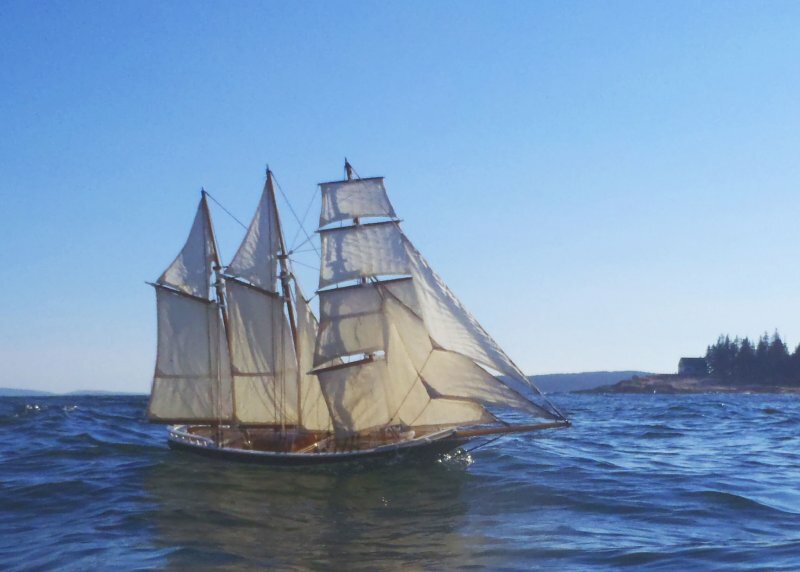 Captain Yo of Southwest Harbor, Maine, designed and built the 64″ model. She has working halliards, braces, sheets, reef tackle, helm, hatch, and centerboard. He used cedar, pine, and mahogany on the hull, using lead, bronze, and copper for the metal works. The twelve sails are made from cotton, hemp, and linen. ROBERT AND REBECCA is seen here travelling off by Gott’s Island at 2.3 kts. Find out more on his website, www.flamingfish.net.